Many of Sydney’s famous have lived in this address. It used to be the tallest building in Sydney at one point and still has an air of old-school glamour. Built in 1923, the Astor was Sydney’s first high-rise apartment building and first residential co-op building. 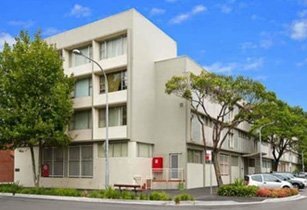 The Astor Apartments are situated on the corner of Bourke and Plunkett Streets in Woolloomooloo which is a stone’s throw to Woolloomooloo Wharf dining district. The Astor consists of 109 apartments and an outdoor pool.